Home > Uncategorized > Be kind. Take care. Serve. Lt. Brandon Williams preparing bread baskets for an upcoming dinner. Lieutenant Brandon Williams, part-time soldier and full-time AmeriCorps member, currently serves in Baltimore, Maryland with one of our member programs, Project SERVE. Each day, Lt. Williams arrives at Our Daily Bread, Catholic Charities’ hot meal center, and teaches new volunteers the significance of feeding those who cannot afford to feed themselves. Equally importantly, he teaches his volunteers to respect each man and woman that comes through the door. The time the hungry spend in the safety and warmth of Our Daily Bread’s walls may be the only time throughout the day they are treated with respect at all. “I encourage my volunteers to connect to the people they are serving on a basic human level: be kind,” Lt. Williams explained. As I listened to Lt. Williams speak of the 800 meals he helps to serve daily, I thought of the people who are suffering and that the world does not value, and then I thought, Lt. Williams has found them. Lt. William’s AmeriCorps service, however, is not the only way he has brought comfort to those in need. Coming from a military family (both parents are Army veterans), service has been integral to his upbringing. Considering Lt. William’s early introduction to military service, it is unsurprising that he too joined the army after college. Now, as a member of the National Guard, Lt. Williams aims to serve the fundamental human needs of our fellow countrymen. His work has been both domestic and international, from working for peace overseas, to handing out cases of water in a devastated New York City. Today, Lt. Williams runs his platoon from Baltimore, attends drills once a month, and finds striking similarities between his service as a soldier and as an AmeriCorps member. Now, he takes care of his volunteers and the men and women they serve, too. With the onset of the new year, Lt. William’s words reminding us to be kind act as rays of light offering hope with new beginnings. Thanks for the reminder, Lieutenant. On January 21, 2013, Americans across the country will come together on the King Holiday to serve their neighbors and communities. The MLK Day of Service offers the chance to “be kind” and start the year off right by making an impact in your community. 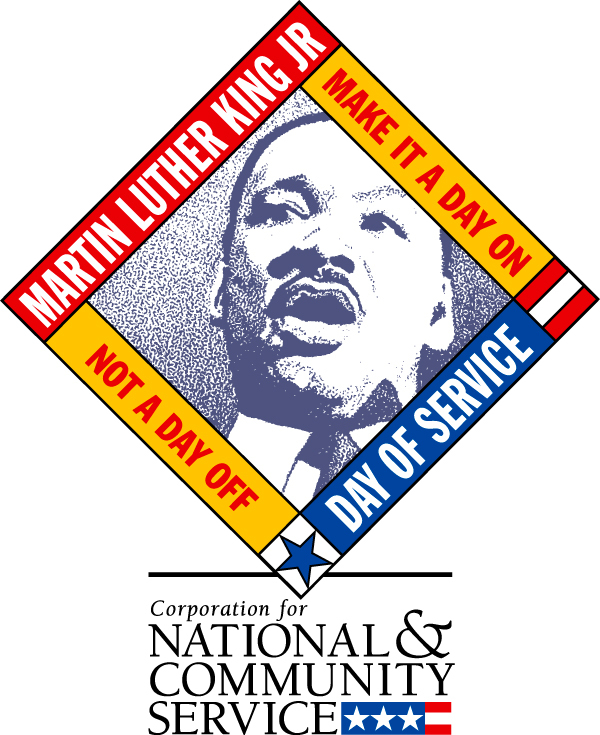 Our 2013 MLK Day of Service and Reflection events are scheduled to take place next month in Phoenix, Denver, St. Louis, Minneapolis, Chicago, Washington DC, and New York. Current and former volunteers are invited to participate. Click here for registration info: https://catholicvolunteernetwork.org/service-days. 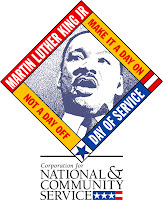 For more information on MLK Day of Service, click here.